Don’t be scared to dress up this halloween! There’s just over a month left until the spookiest time of the year, which is just enough time to pull off the Halloween outfit of 2018! 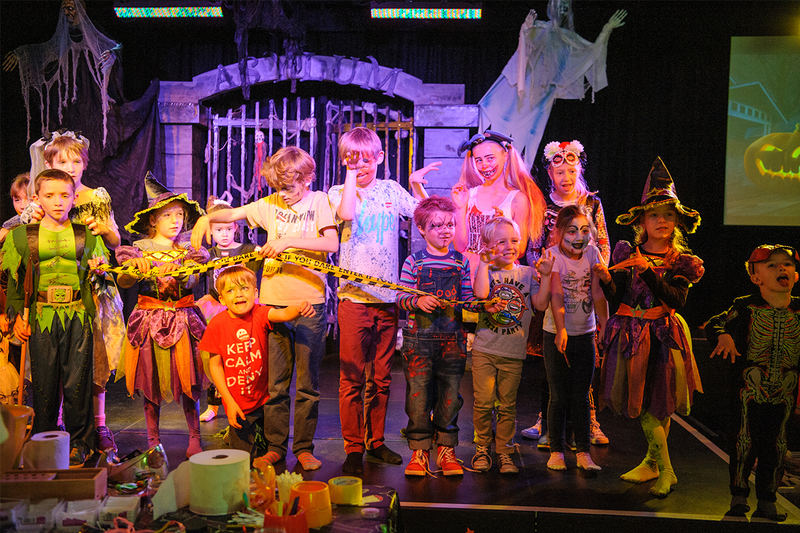 Here at Away Resorts, we’ve got many ghoulish activities happening across the half term break, where we’re encouraging guests to embrace the Halloween outfits! If you’re struggling for ideas, read on for some inspiration! With the long, anticipated release of the Incredibles 2 – we’re sure we’ll see some of our very own Incredible inspired outfits. Get the whole family involved, there are 5 members of the Incredible family after all! For that extra Halloween twist, why not rip parts of the outfit to make it look like you’ve just defeated Screenslaver, or you’ve simply had a run in with the ever-so-powerful Jack Jack! Pull a spin on the traditional black cat outfit and dress up as T’Challa, the King of Wakanda, Black Panther. Dress all in black, find a necklace fit for an African King and get creative with your tribe-looking face paint – the fighting poses will come naturally! With the release of Avengers: Infinity War, you’re spoilt for choice when it comes to dressing up! Rock the American stripes like Captain America and decorate your very own powerful shield, stand proud in your Ironman suit or leap from room-to-room in your Spiderman outfit. You will need: 1 full box of tissues, 1 long paper towel tube, tin foil, black duct tape and silver duct tape. Step 1 – Insert the long paper towel tube to the opening of the tissue box and secure with silver duct tape. Step 2 – To stabilise the handle of your hammer, stuff the tube with scrunched up tin foil. Step 3 – Wrap silver duct tape around the rest of the hammer including the bottom of the tube to avoid the tin foil falling out. Step 4 – For added detail, wrap black duct tape around the handle. Watch your kid’s face light up as they see you struggling to lift their DIY hammer. 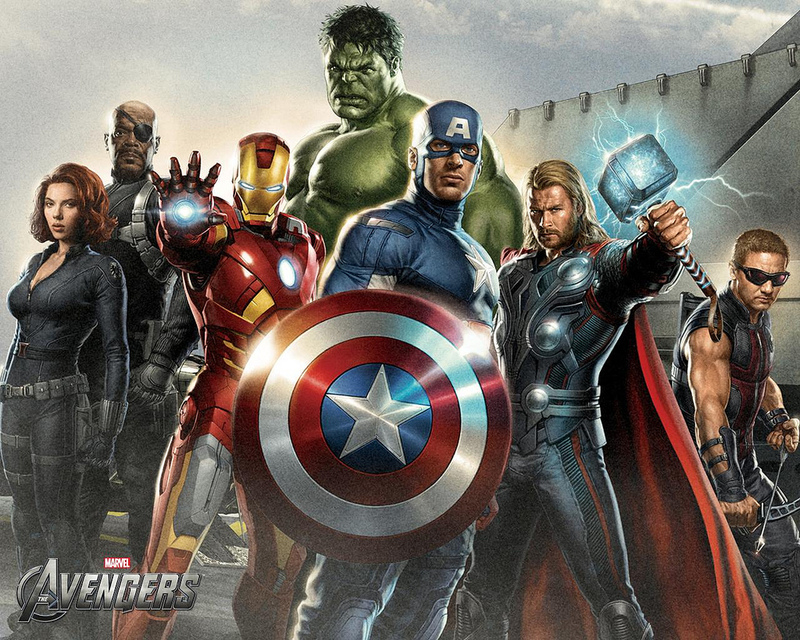 As cool as it is to dress up as the latest superheroes, you can’t beat the traditional costumes. Keep it cheap and cheerful with a bed sheet and cut out eyes for a frightening ghostly outfit, dust off the witch’s hat and practice your best cackle or get the hair gel out for a hairdo that will put Dracula to shame. 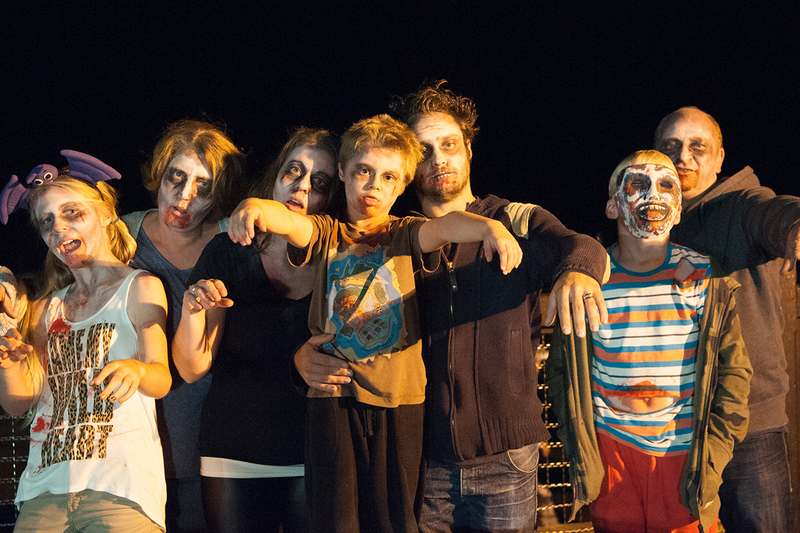 Soon we will be revealing what treats (not tricks) we’ve got happening over the half term break! And there are plenty of opportunities to show off your costumes. Make sure you’re following us on Facebook, Twitter and Instagram to be one of the first to hear! Don’t forget your four-legged friends are welcome too! 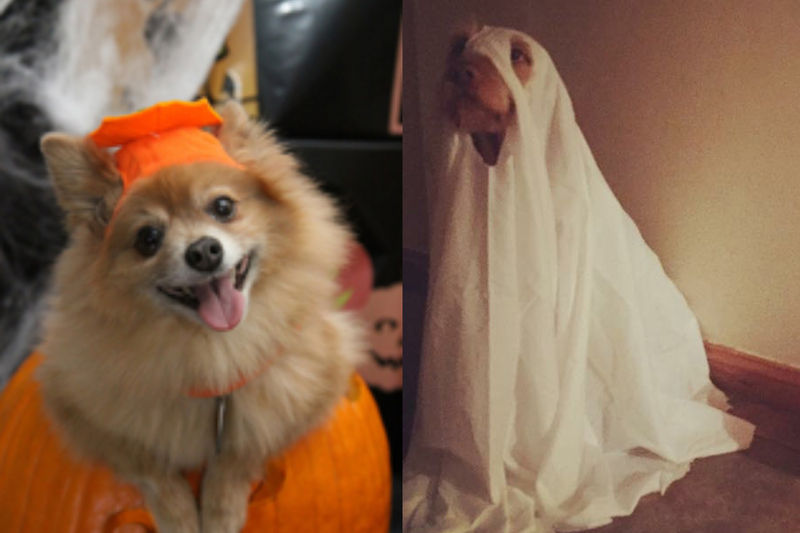 * Check out Tia the wire haired vizsla pulling off a spooky ghost look, or this cheeky Chihuahua looking absolutely adorable in the pumpkin outfit! What will your pooch come as? *Dogs aren’t permitted at Mill Rythe.